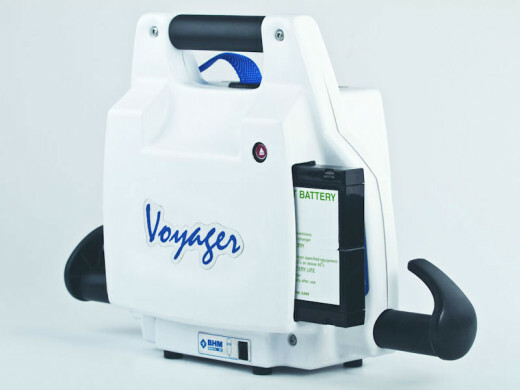 Weighing only 5.5kg with battery and 4.3kg without, the Voyager Portable is one of the lightest units available today. The easy grip handle and rubber feet make it easy to carry and set down anywhere. Voyager will accommodate most patients with it’s high lift capacity of 200kg and it’s rechargeable battery can perform up to 30 lifts. Should more power be required, the removable battery can be replaced with a fresh one simply at the press of a button, ensuring the hoist is always ready when required.